Shopping in a German supermarket (or should I say, supermarkt), I came across this display for Kessel Chips. 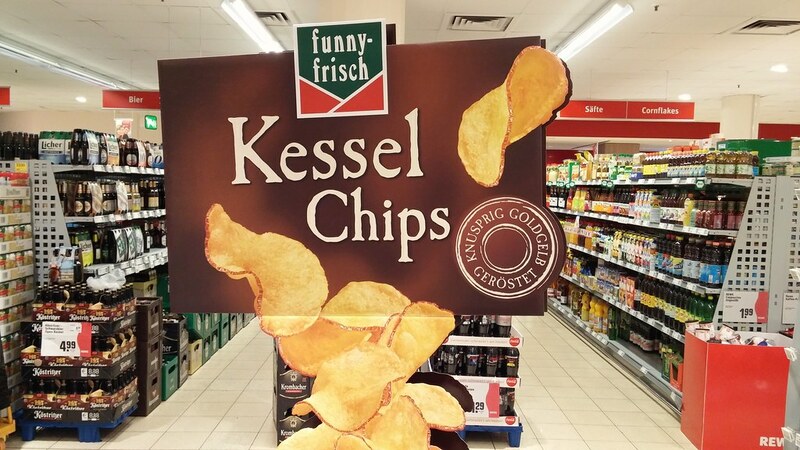 As far as I can tell, Kessel Chips are only available in Germany. Were they as costly as Kessel?